The Annual Criminal Lawyers’ Association Fall Conference is Canada’s largest criminal law conference, attracting more than 700 defence lawyers, members of the judiciary, educators, reporters and other prominent guests from across Canada. The 2017 CLA Fall Conference experienced record breaking attendance this year! More than 740 legal professionals were in attendance. For those not able to attend, you are able to purchase the electronic copy of the materials. To order your materials, please call the CLA office, during business hours of 9 a.m. to 5 p.m., with visa or mastercard information. Please call 416-214-9875. The 2017 CLA Fall Conference has been accredited for 2 hours of Professionalism Content. This program is also eligible for up to 6 hr 45 min Substantive Content. 2:45 to 3:30 p.m.: Sexual Offence cases – what’s trending? 9 to 9:30 a.m.: The Best Panel You Will Ever Hear – Guaranteed. How Not to Advertise in 2017. 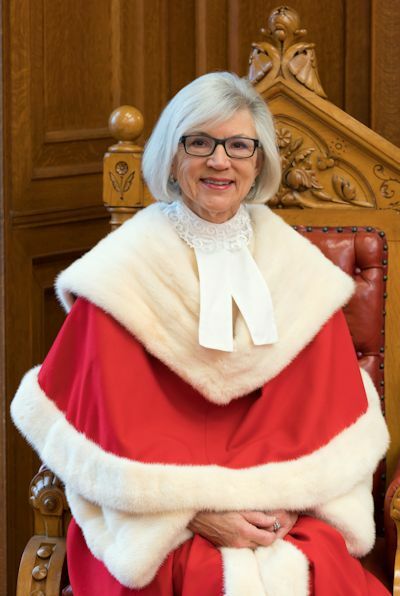 Saturday, October 28, 2017, 1 to 3 p.m.
Chief Justice McLachlin has been at the forefront of the development of Canadian criminal law for over three decades. Throughout it all, the hallmarks of her approach have been balance, compassion and a commitment to individual rights. The Martin Medal came into being in 1989. Named for a former lion of the defence bar who went on to be a leading light on the Ontario Court of Appeal, recipients are chosen based on lifelong achievement and a sustained commitment to the principles and advancement of the criminal law.